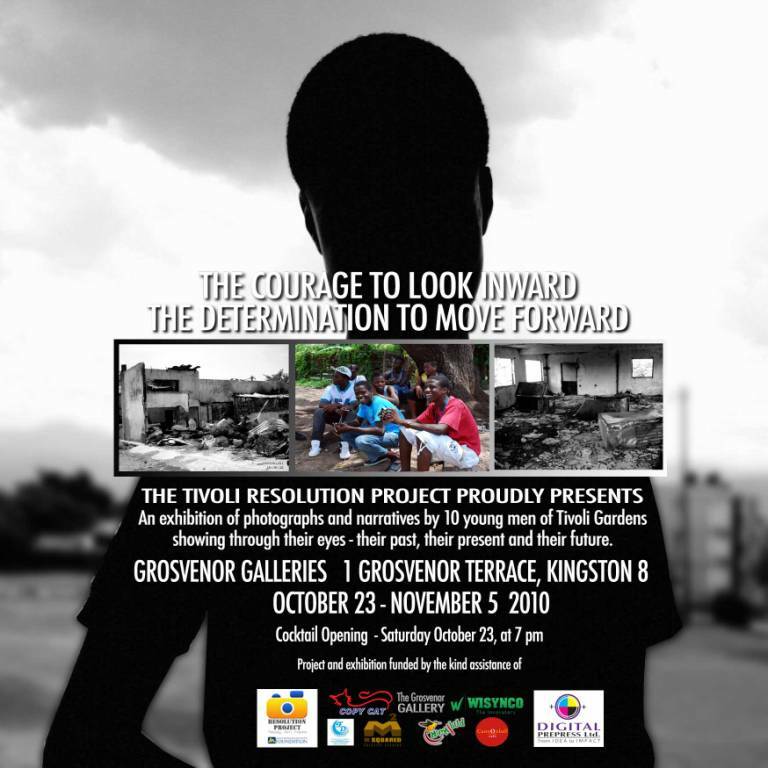 The Tivoli Resolution Project presents ‘The Courage to Look Inward….The Determination to Move Forward’. Opening Saturday 23rd October at 7 p.m. at Grosvenor Galleries. This project aims to engage youngsters in Tivoli Gardens to express their feelings about the recent “happenings” in Tivoli through the camera. The exhibition will run from the 23rd of October to the 5th of November. Please come and share as the project aims to raise funds to help young people in Tivoli Gardens. See their facebook page for more info.